If you’re wondering why the popular AdBlock Plus got low scores in some Chrome tests, the answer is simple and it’s purely down to the acceptable ads check box. 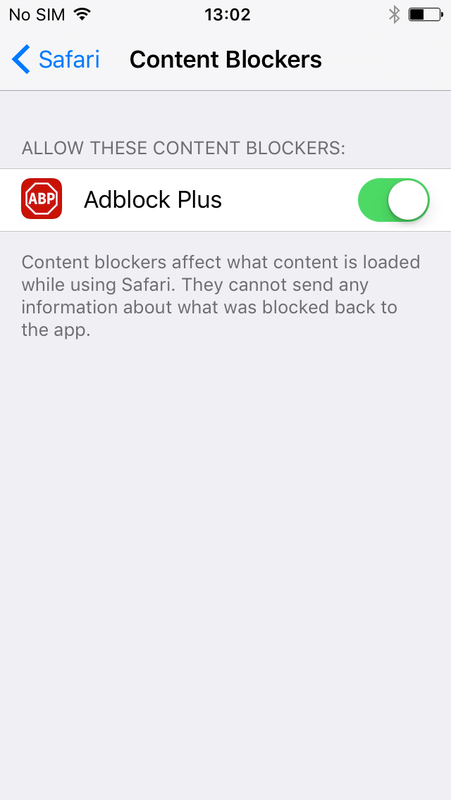 Disable “Allow some non-intrusive advertising” and AdBlock Plus will performance wise, sit in the middle of the pack. Whatever your opinion on acceptable ads, using the option in ABP is not recommended and if you wish to support showing specific ads while browsing, use something else. 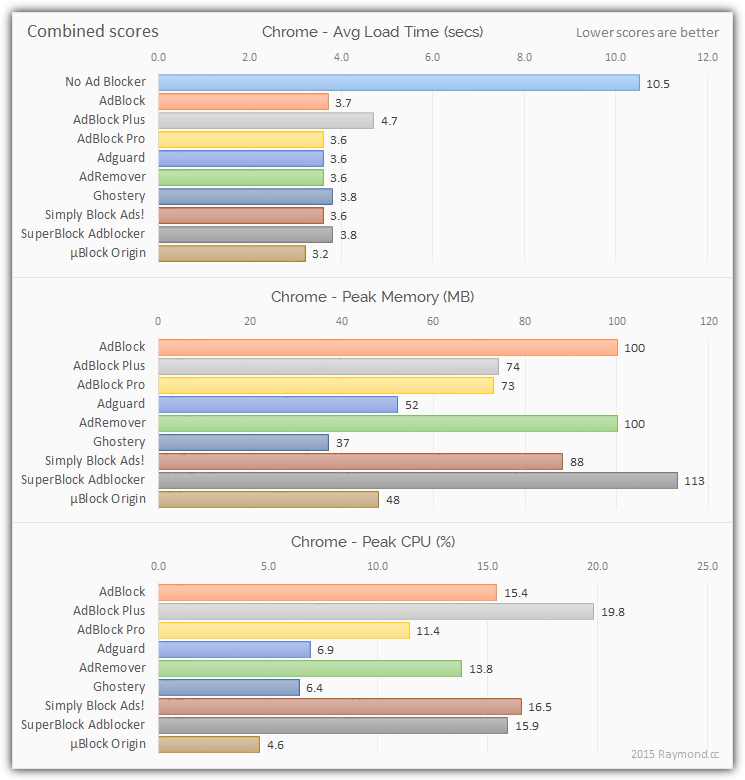 AdBlock, Adguard, AdRemover and SuperBlock all have an acceptable ads option of some sort, but none suffer a performance drop like ABP. The overall winner in Firefox is simply the quickest, and that was µBlock origin. µ AdBlock is a fair choice if you want an easy to use but fast blocker, the rest are almost identical so it’s down to personal preference and the options available as to which one you use. The winner in Chrome is a closer call when you consider the results from all three tests. But as it got a couple of firsts and a second, we would say µBlock Origin is the definite winner, it truly is fast and efficient as the author claims. Both Ghostery and Adguard are still excellent choices and are viable alternatives to µBlock Origin providing good performance in all 3 categories. This entry was posted in Browser, Computer, Firefox, GoogleChrome, Murmuring, Network, Software, WWW and tagged abp, ad, adblock, blocker, chrome, firefox, ghostery, google, plus, ublock on August 29, 2015 by Gea-Suan Lin. Two new AdBlock versions came out since that blog post was published. AdBlock 2.7.9 fixed the bug I mentioned above, now only getadblock.com can track AdBlock users and no other websites. This entry was posted in Browser, Computer, GoogleChrome, Murmuring, Network, Security, Software, WWW and tagged abp, adblock, chrome, google, plus, privacy on August 15, 2014 by Gea-Suan Lin.